PolitiFact is well-known for its six-level system to rate the accuracy of statements: True, Mostly True, Half True, Mostly False, False, and Pants on Fire. These stories can be heard Tuesdays at 7:45 a.m during NPR's Morning Edition and 4:44 p.m. during All Things Considered on 88.9 FM WCVE News. Don't miss the opportunity to partner with a trusted, national news brand with a local focus. 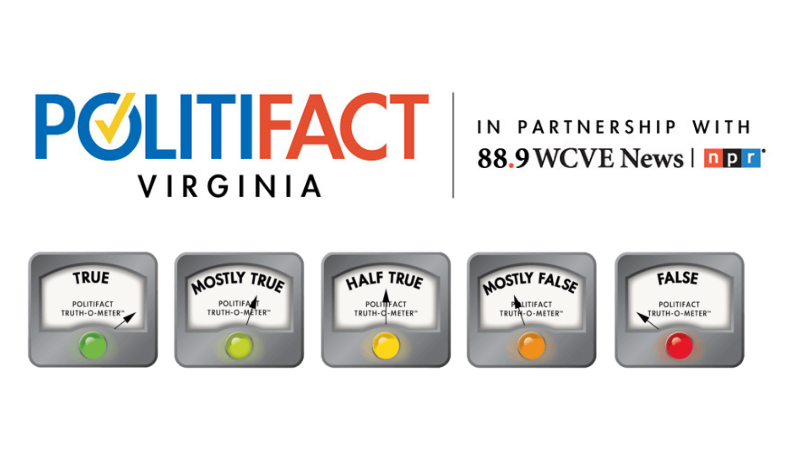 Contact me to learn more about PolitiFact Virginia sponsorship.